Before you read the specific camera backpack reviews on the many choices available, it's very important to be sure that a camera backpack is what you want. You want to be certain that a camera backpack is the right type of camera bag for your shooting style. There are 3 other choices for you to bring along your photography gear. Waist packs, shoulder bags and sling camera bags are also good choices for many digital photographers. It depends on the types of photo shoots you do and how much photography equipment you need to carry. 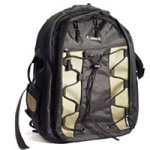 This article will help you decide if a backpack is the right choice and gives you advice on which one to buy. MOST COMFORTABLE. The weight is evenly distributed on your body and you can carry heavier loads without injury or fatigue. By far, these are the best camera bags for hiking. FREEDOM. Your arms are left free for other activities while you carry all of your cameras and accessories securely. LARGE PAYLOAD CAPACITY. Some include dedicated secure protection for laptop computers. You can carry food, clothing and other personal items in additional to all of your camera equipment. TRIPOD HOLDER holder. This is a big advantage of having a backpack style of equipment carrier over, sling and waist camera bags. There are some shoulder bags that have loops for carrying tripods. The most important of these advantages is the large size. The biggest complaint I come across for camera backpacks is centered around being too small. 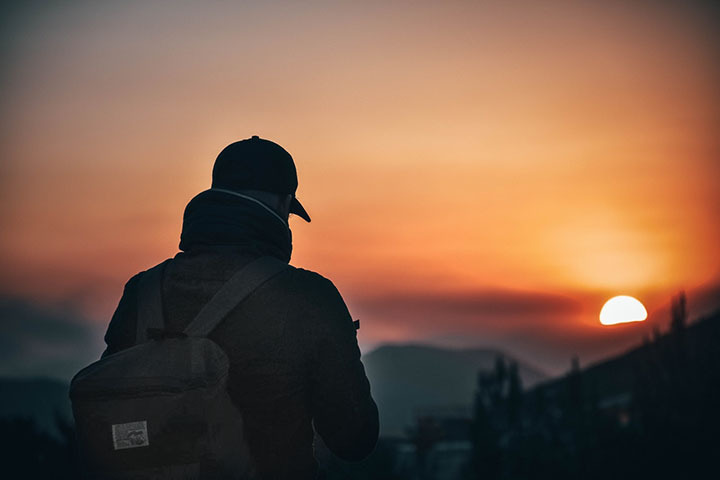 If your main purpose of getting a backpack is for its high capacity and you are not concerned with quick access, then it could be a great choice for you. Some models do stand on their end fairly well when you set them down off of your shoulders. The width and thickness of the padding of the shoulder straps are something to pay careful attention to. The additional feature of a belt adds extra security and comfort to distribute the load even more evenly if you have a particularly heavy load of camera and accessories to carry a long distance. DIFFICULT ACCESS. You may have to set them down to open them and access your gear. Bad situations in wet or dirty environments. TRAVEL RESTRICTIONS. The over-sized backpack may not be considered as "personal items" like smaller camera bags when traveling on an airplane. You could get forced into having it checked in with the regular luggage. SAFETY. You can't directly see your gear when it's hanging on your back and the small external pouches are easily accessed from behind by a clever thief. FUNCTION. Changing lenses is awkward when you have to set your bag down on the ground. Sling bags let you access your bag without taking it off one of your shoulders. SIDE OPENING. I like to have a side-opening area that's big enough for me to access a DSLR with a lens mounted on it. That way I can use the backpack like a sling bag by slipping off one shoulder strap and swinging it around front so that the side opening is facing up. This saves me from having to remove the back altogether and setting it down on the ground to access a camera. LAPTOP POCKET. I also want to have a laptop pocket protected by a cushioned back panel. I've got a 17 Inch Dell and it easily slides into the back pocket and is well protected. RAIN COVER. I think I've only used mine twice, but I'm glad that my laptop came with it's one rain cover that stows away in an easy-access side pocket near the top of my backpack. TRIPOD STORAGE. I have too much camera gear to be able to fit a tripod inside by backpack, so I like the backpacks that have provision to securely attach my tripod to the outside. The camera backpack that has gotten the most reviews is the AmazonBasics. It's been reviewed over 4,500 times on Amazon. 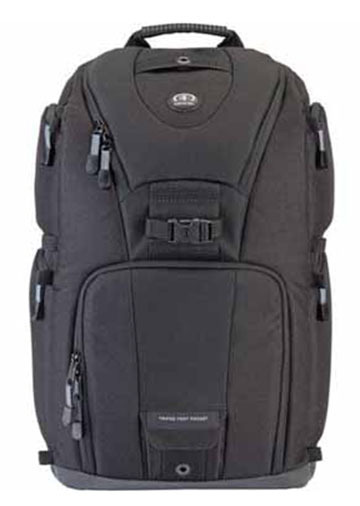 It's also one of the best selling camera backpacks of all time. That's not just because of its size, but most importantly because of its price. 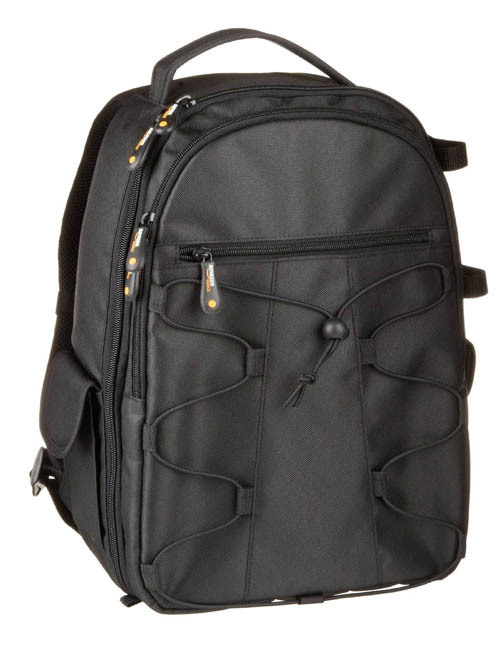 It will hold 2 small DSLRs and two small lenses or a large DSLR and lenses. It's a great bag for beginners in photography for average use. If you only shoot with one dslr camera and maybe one spare lens, you really don't need a bag of this size. 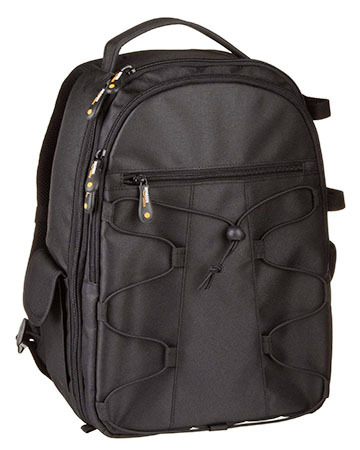 For double the price, you can get a larger backpack from Case Logic that carries a small laptop or tablet computer. It comes with a weather hood and adjustable compartments and a little more capacity than the AmazonBasics. It can hold a full-sized DSLR with a 70-200mm lens attached and several small accessories. My favorite way to use a backpack is to combine it with a waist-level bag. I like this combination for 2 reasons. It lightens the load on your back. Some of the weight is now supported by your hips instead of your shoulders. Waist-level access is incredibly fast. You don't have to swing a bag from behind, off your shoulder, to get it in front for camera access. 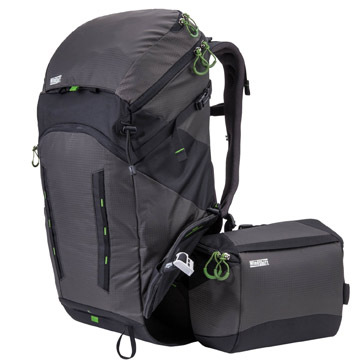 At the time of this post, the MindShift Rotation 180 degree backpack had a 5.0 star review rating. I love this duo for day hikes where I want a decent amount of photo gear and I also need to carry water, food, and a little spare clothing. I confess that I don't own this particular one. I have a separate waist bag that I use with my Tamron 5789. 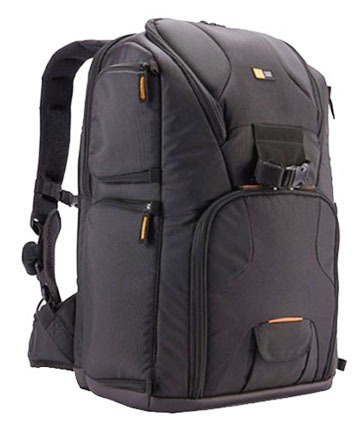 Backpacks have become the generally preferred choice when it comes to carrying photography equipment for most photographers who carry more than a simple point and shoot camera. Sling bags, shoulder bags, and airport bags are very popular in more specific situations. Generally you get what you pay for in most things and that is true in backpacks too. If you don't overload them and treat them gently, things like zippers and seams will hold up fine. If your uses are more strenuous and frequent, you should get a more expensive pack with superior sewing, zippers and materials. 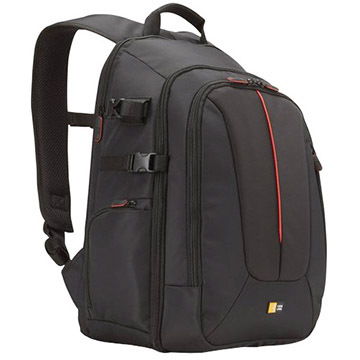 You can read customer camera backpack reviews and ratings here in this search box. You don't have to buy yours from here. Just type in "camera backpacks" and you'll learn a lot.